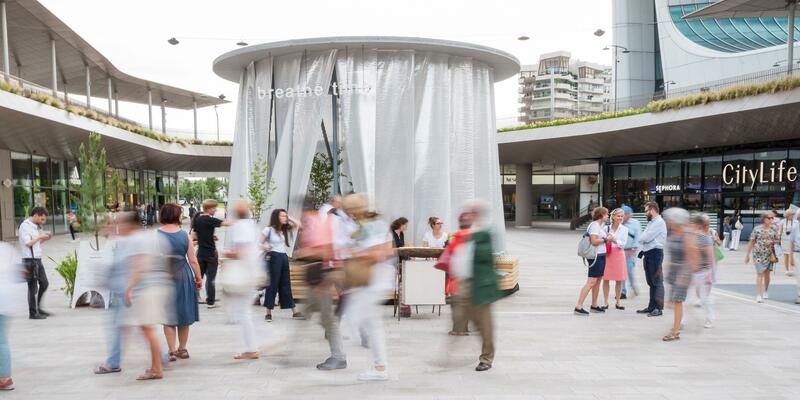 The successful designed Austrian pavilion in the context of EXPO 2015 in Milan, was the team’s starting point to work on one of the most important social, environmental and technological challenges of our time: air and climate. As follow-up projects a series of climate installations called “Airships”, that prototypically act as hybrids between “nature” and “technology”. 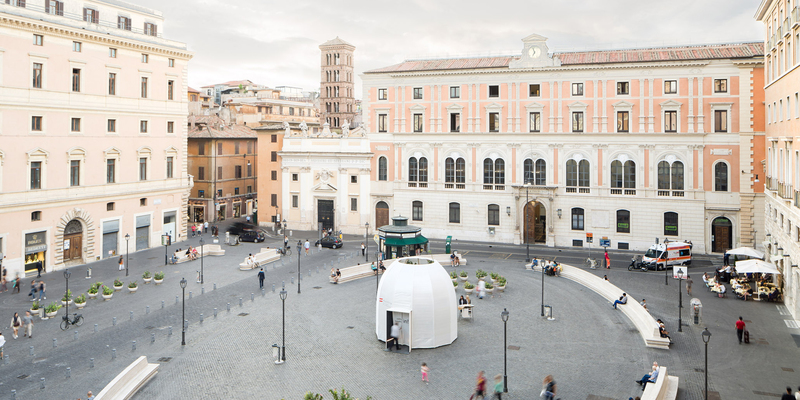 In public spaces of different European cities, such as Rome, Milan (IT), Bordeaux (FR), Graz and Tulln (AT), during the summer time these climate positive and cooling micro-architectures involved visitors in a sensual learning process to reflect on climate, city and personal behaviour in the context of climate change. Each Airship – Cultural Forest (2016), Evapotree (2017), Fountain of Air (2018) – has its own characteristics. They all reflect on the topic of air quality and oxygen production in an increasingly polluted and in summer over heated urban environment. At the same time, their immersive environment with plant habitats offers a rich sensorial experience and atmosphere to visitors. 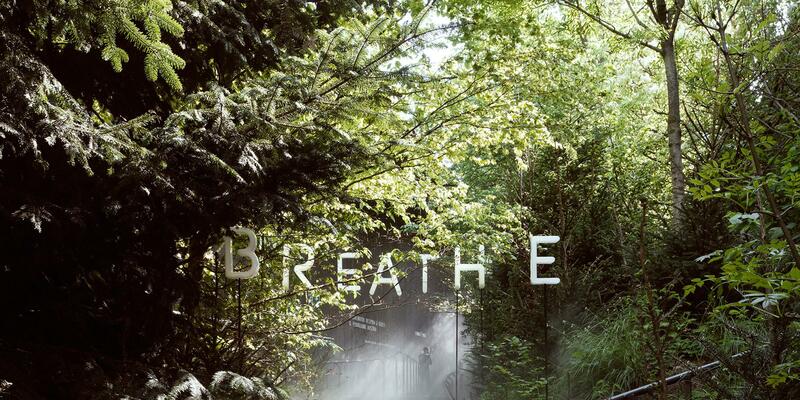 Only by ‘breathing’ visitors became active part of the interior climate performance (inhale oxygen, exhale carbon dioxide). In this sense, the Airships with its cooler temperature, intense forest scents and sound, provide a highly educative environment. Rather than rationally, the visitors experience a natural forest habitat with their own senses and thus reflect complex global issues. 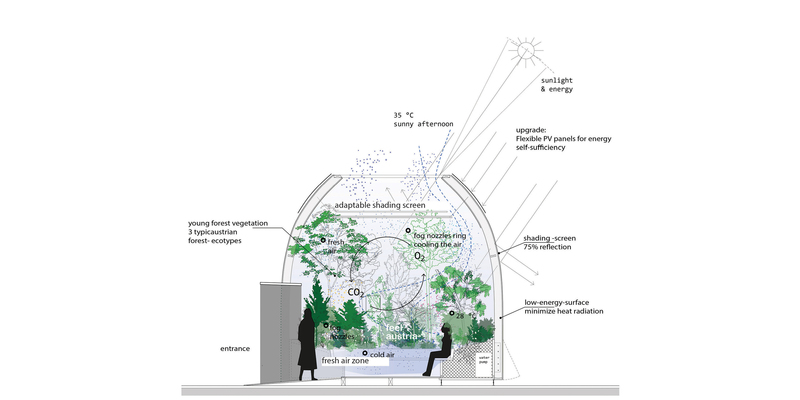 In the Airships, the synergetic action of nature (several hundred plants, water pond) and technology (compact geometry 5 m in height, open to the sky, climate-active membrane, fog nozzles and ventilators) provides an urban oasis in the summerly city that also reduces the temperature around it. The Airships are designed to provide a cooled and cooling shelter in the centre of urban heat islands. 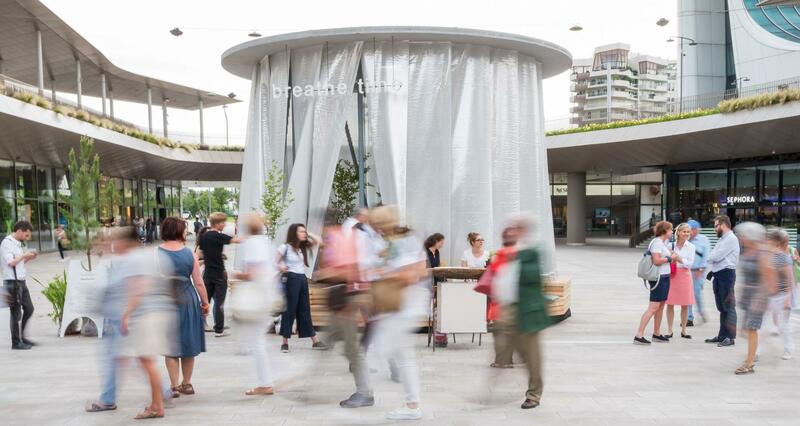 Almost like a new urban furniture type the installation invites passengers to sit down, relax and breathe fresh oxygen. For example, in Airship.03 – Fountain of Air, by covering the sight (visitors were asked to put a blind fold) the olfactory and tactile experience were amplified. The playful environment was discovered by the human body. 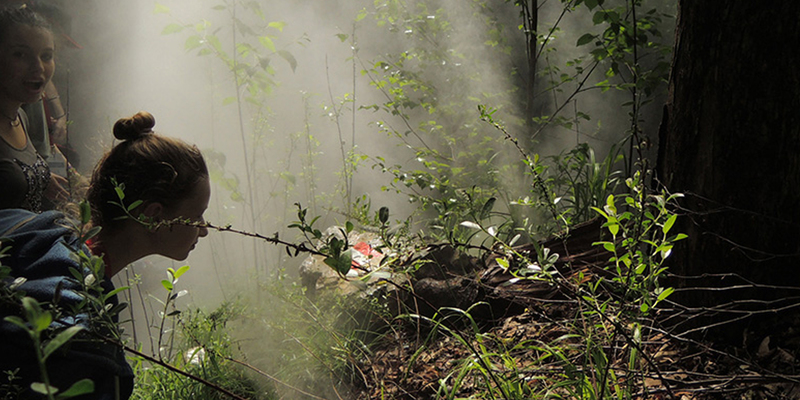 In the Airship.01 – Cultural Forest fog nozzles with spray events offered an opportunity to play and explore a sensorial journey for kids and adults. 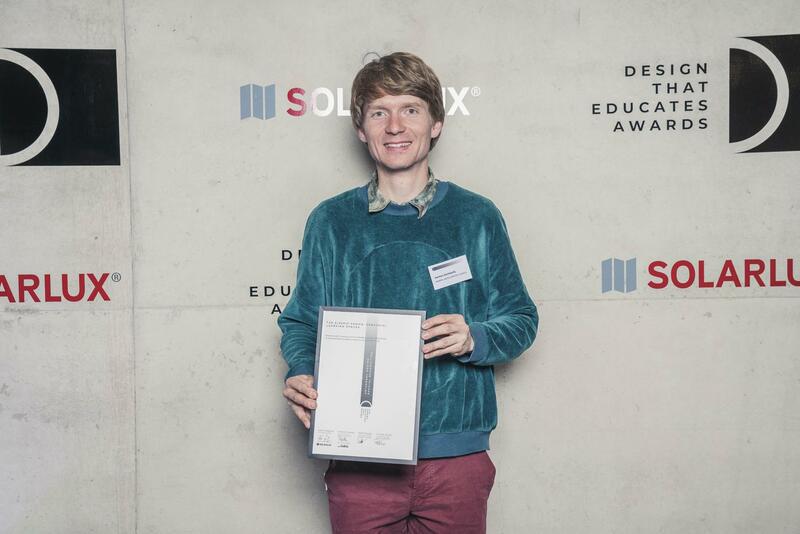 The design team relies on sensorial experiences as a powerful means of communicating an important message, why it is important to integrate Green in future cities. Visitors learn and reflect on a deeper and enduring level through a prompt, immersive and bodily experience. Linked to the rational communication, a graphical print handout, distributed at the entrance with explanations of the functions of the installation and the plants ecotypes. Furthermore, guided tours with team members gave the chance to get in a dialogue between designers and visitors, exploring together the potentialities of naturetechnology hybrids for our daily lives and future cities. The Airship series therefore is small scale intervention which shall be scaled up and become translated permanently into our cities to gain the most benefits for citizens, climate and nature.